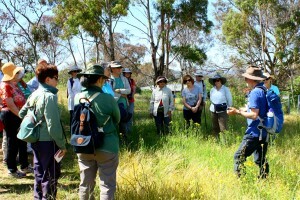 Notes from the Wildflower Walk, including a list of plants observed. 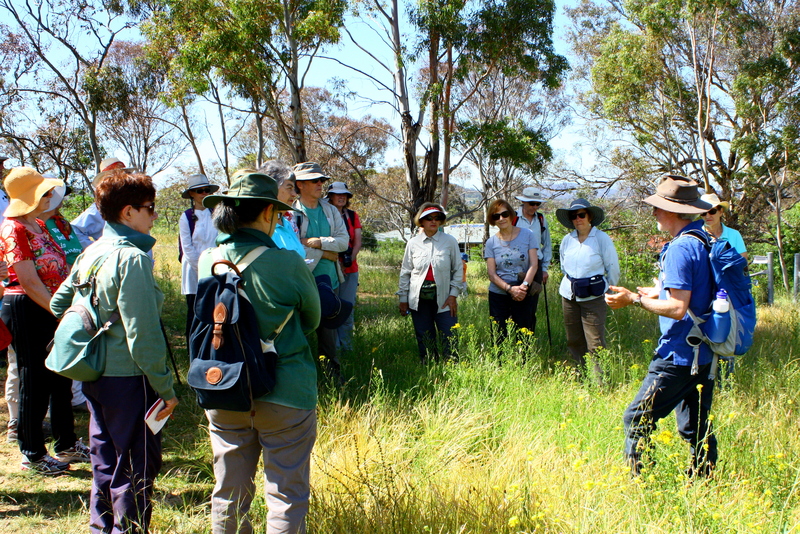 The annual wildflower walk was held on Red Hill on a hot and humid Sunday 20 November 2016. 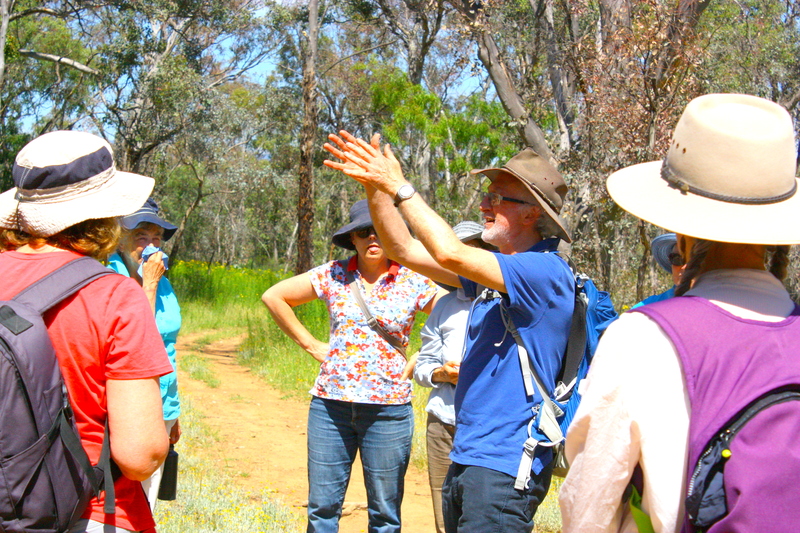 Over 30 Friends of Red Hill spent a fascinating two hours with Dr Michael Mulvaney in the area of Red Hill currently included in the Federal Golf Club lease, hearing about the history, ecology and critical importance of returning this magnificent Yellow Box Red Gum Grassy Woodland to the Red Hill Nature Reserve. The route of the walk was selected to show the quality of this nationally critically endangered woodland, which presently lies inexplicably outside the Red Hill Nature Reserve and within the Federal Golf Course lease. It was explained that proposed commercial development on parts of the golf course could endanger this woodland, due to the need for bushfire protection clearing within 200m of any development. Along the walk we saw broad swathes of sticky everlasting daisies enveloped in clouds of Australian Painted Lady butterflies, hundreds of the aptly named Chocolate Lily, small clusters of the unusual Austral Trefoil and a single Onion Orchid plant. We learned how to recognise Yellow box and the difference between Red Box and Red Gum; and why so many ancient Apple Box trees remain on the Hill. Peering into the widespread St John’s Wort, we could see clusters of glossy black Greater St John’s Wort beetles doing their bit to control this weed. A brilliantly coloured Metallic Jewel Beetle posed for a photograph on a friendly thumbnail. The continuing work of the Red Hill Regenerators Group in this part of the golf course lease, in keeping woody weeds in check, was evident along the golf course fence line – one side a healthy ecosystem, the other, golf course, side a tangle of Rowan trees, firethorn and cotoneaster choking the ground cover. We finished the walk with a broader understanding of the value of this woodland, the need for ongoing vigilance to keep weeds in check, and the increasing urgency to protect it by incorporation into the larger Red Hill Nature Reserve. Many thanks to Michael Mulvaney for his expert commentary, and we look forward to next year’s wildflower walk! By redhillregenerators in News (2016) on 20 November, 2016 .